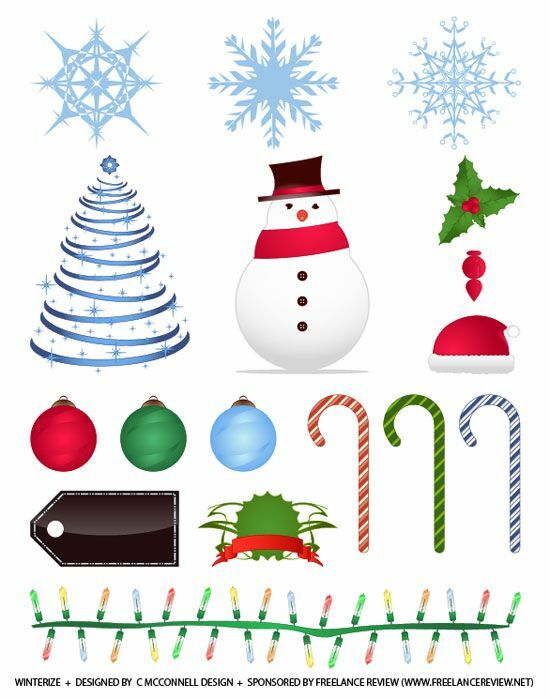 With the holidays upon us, and with winter in full mode (at least in the Northern Hemisphere) – we present to you a vector pack that reflects this joyous time of the year. Winterize – an exclusive Six Revisions vector pack brought to you by Freelance Review, a design blog that covers the business of freelance design – is a vector pack containing 17 vectors, available in EPS and AI (Adobe Illustrator) format. You can use them royalty-free, even for commercial purposes. The only thing you may not do, however, is to redistribute the vectors without permission from Six Revisions.